The Jackson 5 Biography - Cheers to Those Bubbly Giants of '70s Pop! May 4, 1951. October 15, 1953. December 11, 1954. March 12, 1957. August 29, 1958. On those dates, the lives of little Sigmund (aka Jackie), Toriano (or Tito), Jermaine, Marlon, and Michael were as leisurely as they would ever be. In 1962, that band of brothers (and two cousins) performed in the surrounding community. Marlon and 5-year-old Michael replaced the cousins in time for the most strenuous rehearsals under their manager-father's eye. Of the young bass-thrumming, guitar-strumming, singing, dancing machines, Jackie Wilson/James Brown mimic Michael impressed so much that he stole the lead from Jermaine. The group as a whole won over judges at a big local talent contest, and even the resident jeerers at Harlem's Apollo Theater. The Jackson Five had already gone pro for their acts, and increased their profile across the southern Chitlin' Circuit and with the 1967 Steeltown record, "Big Boy." The Jackson Five earned some notable fans across the country, including Motown artists Gladys Knight and Bobby Taylor of the Vancouvers. Taylor led the last great charge to get them to his company before their 1968 audition. Motown whisked the boys to its new Los Angeles office and altered the "Five" to a numeral. The Corporation--Berry Gordy, Freddie Perren, Fonce Mizell, and Deke Richards--composed Jackson 5 hits-to-be. As Joe Jackson's grip weakened, Suzanne de Passe, a Motown force of nature, managed the Jackson 5 and warmed them up for their biggest break yet. It came in August 1969. They came on before Diana Ross at the L.A. Forum. Motown came up with its first album for the Jackson 5 discography. Their first single, "I Want You Back," came out of nowhere to seize the #1 pop and R&B spots. As did "ABC." And "The Love You Save." And "I'll Be There." That fourth single became Motown's best-selling ever. All four Jackson 5 songs represented the first time a new pop group scored that many top singles in a row. The hype machine revved up. Lunchboxes, cartoons, playing cards, and other goodies made sure you didn't forget the Jackson 5 when their records got quiet. Adults and especially kids across races could overdose on all the Jackson 5 they wanted. And somehow, that bubblegum music seemed sturdier, more colorful, and more richly flavored than most. Compared to the previous year, 1971 felt downright disappointing: "Mama's Pearl" and "Never Can Say Goodbye" only reached #2! The Jackson 5's "Dancing Machine" helped them catch up with the blooming disco trend in 1974. But by then, their hits had slowed. The fact that they couldn't compose, select, or play on their own Motown songs also made them grumble. Minus Jermaine, the brothers jumped ship in 1976. With brother Randy stepping up, they joined Epic as the Jacksons. At first, Philadelphia soul maestros Kenny Gamble and Leon Huff held sway over their material. The results, The Jacksons and Goin' Places, were mixed. 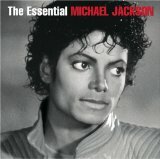 After the Jacksons took the reins in 1978, they netted sales and acclaim with the danceable Destiny. Meanwhile, Michael Jackson found his: Off the Wall went off the charts. The solo star returned to his brothers for--and in--Triumph. 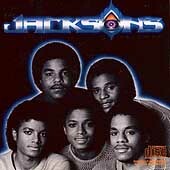 All six of the Jackson men pulled off their third R&B Victory in 1984. Their smash tour of the same name also got the public gasping at the insane $30(!!) tickets. Michael's eye-popping moonwalk on the TV special, Motown 25, and his monstrously successful Thriller album had proved him a keeper on the music scene. Marlon found less fame on his own. Jackie, guitarist Tito, and percussionist Randy did well as background musicians. In 1989, blood ties brought all the singing Jacksons except LaToya to 2300 Jackson St., at least for the main tune. Eight years later, the original Jackson 5 members set up permanent shop in the Rock and Roll Hall of Fame. Ultimately, though, the family's greatest fame came from its association with no-longer-so-little Michael. His gifts--so obvious in his youth--had morphed into the marks of a much maturer, oft-emulated, highly unique artist. How unique? He could float across the stage backward while seemingly dance-stepping forward. He conveyed emotions with “vocal hiccups,” yelps, and growls and gilded them with his nimble high tenor. And one signature move involved grabbing his crotch. Woo! His fashion choices captured as much attention as his performances. Sequined glove (singular) + aviator sunglasses + ornate jacket = Michael Jackson! It was a formula many fans tried to reproduce for themselves. Yet he wasn't just a collection of style quirks. Song after spectacular song, music video after innovative music video at the fledging MTV Network, he more than fulfilled his self-crowning as the “King of Pop” throughout the '80s and early '90s. “Don't Stop 'Til You Get Enough.” “Rock With You.” “Beat It.” “Billie Jean.” “Thriller.” “Wanna Be Startin' Somethin'.” “P.Y.T. (Pretty Young Thing).” “Bad.” “Dirty Diana.” “I Just Can't Stop Loving You.” “Leave Me Alone.” “Man in the Mirror.” “Smooth Criminal.” “The Way You Make Me Feel.” “Black or White.” “Heal the World.” “In the Closet.” “Remember the Time.” “Scream.” Convinced yet? Here are numbers instead of names. Top-selling singles: 13. Grammys: 13. Thriller: 50 million copies sold-—the most of any album ever. Total record sales: 750 million. Jackson 5? Jackson #1! This entertainer was Bad, Dangerous, and making cultural HIStory. But he was starting to seem and do so in all the wrong ways. He'd already been sliding commercially since his mid-1980s peak--the fate of any success with time. Then his personal reputation went over a cliff with allegations of child molestation that repeatedly dogged him after the first one in 1993. Then there was the gentle, some would say strangely girlish persona. The odd domestic arrangements, which included companionship by a chimp and by children at kid-friendly Neverland. The baffling shrinkage of his nose and increasing paleness of his skin. Despite a persistently loyal, adoring global fan base, it all reduced Michael Jackson to tabloid fodder and a target of public mockery. After years of career limbo and financial problems, 2009 was supposed to herald a new phase: the comeback. Fifty concerts at age 50 during Motown's 50th year. An arduous commitment that 800,000 ticket holders were happy to make pay off for the singer. But it wasn't to be. On June 25, 2009, Michael Jackson died of an apparent cardiac arrest. The surviving Jackson 5 have returned to the spotlight under far bleaker circumstances than before: as family members in mourning, as cameos in vintage footage now memorializing their brother. But as key players in the phenomenon that made him a star, their legacy should only grow. Indeed, in their prime, the Jackson 5 brought awesome delight to a tortuous decade. Hopefully, under the bobbing Afros and swishing stage clothes, mid-chorus or mid-spin, they lost themselves in the childlike joy they couldn't indulge in at home but gave to so many others. Want a far more ambitious biography than mine? Or a refresher on what those group performances looked like? The TV miniseries, The Jacksons: An American Dream, gives you both. If the "group" and "looked like" part is enough for you, then consider finding posters created from Jackson 5 photos. To "see" their sounds, not just images, peruse printed Jackson 5 music here and Michael Jackson sheet music here. Has the Jackson 5 biography got you jonesin' for more Motown oldies artists? Take your pick from the homepage!